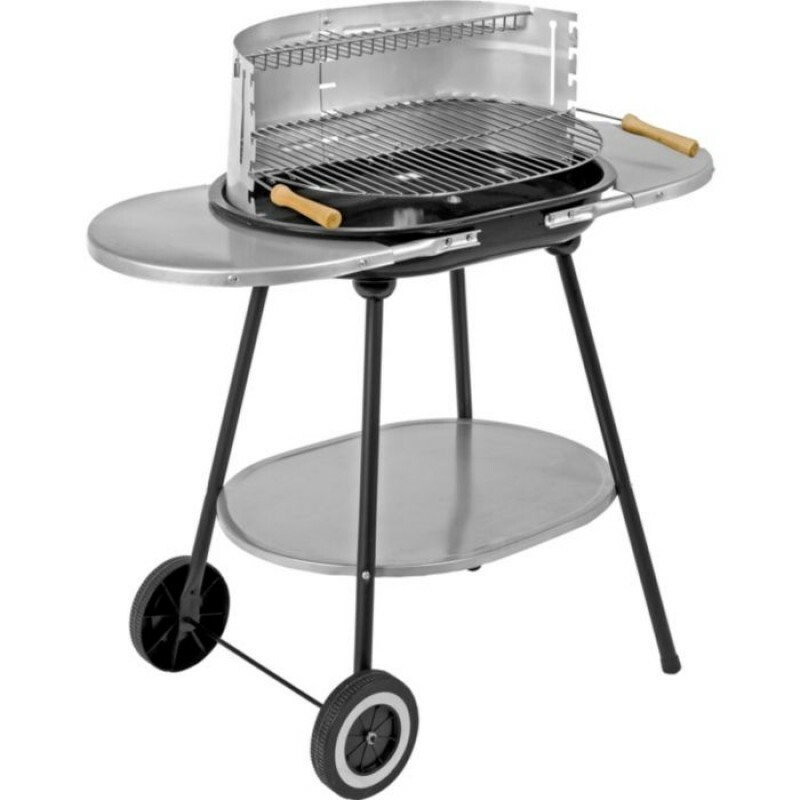 Oval shape steel trolley BBQ comes with 2 handy side shelves and one underneath to store your utensils. Please note that this item does not include the top warming rack. Overall size H87, W98, D48cm. Size of cooking area 0.19m². Can cook for up to 5 people.